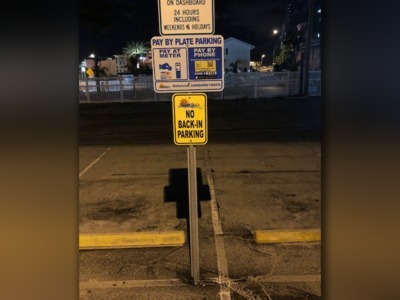 MADEIRA BEACH, Fla. — It may end up costing you a little more to park at Madeira Beach this summer. City commissioners will be voting on a new proposal to raise the parking fee from $2 to $2.50 an hour. The new rate would affect all city-owned parking lots, including John's Pass Village and Boardwalk. City officials say the rate increase could generate an additional $413,000 in annual revenue.The plan is to use that money to pay the city's debt and for infrastructure improvements. The city says the rate increase would not impact people who live at Madeira Beach. ABC Action News reporter JJ Burton spoke to a woman who lives just north of the city. She told him she drives down to Madeira nearly every day because she loves the beach. She's upset about the possible rate increase, and now she's thinking about going to a different beach. "I think they can find another way," Lisa Seitz said. "It ends up being a lot if you spend the day out here. That adds up." The final reading of the proposal is scheduled for next Tuesday, at the commissioner's meeting.